Alex has been quietly collecting some footage while out riding with his mates & this is the end result – Bro Cam 2. Some really good technical ramp stuff in here. It’s awesome that every time I see Alex he has learnt another bunch of tricks. So good. Sit back & enjoy the Alex Hiam show. Alex also edited it this himself by the way. A few of us are in Canberra at the moment filming and shooting an article for the next 2020. I really love Canberra, good people and good spots. 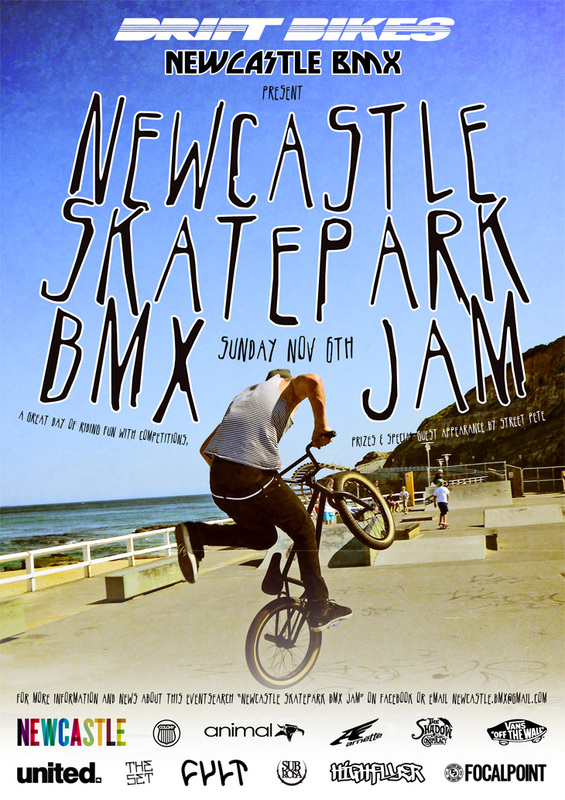 We are supporting yet another jam going down in the Newcastle area, these guys are really helping to build a great scene in the Central Coast of NSW. 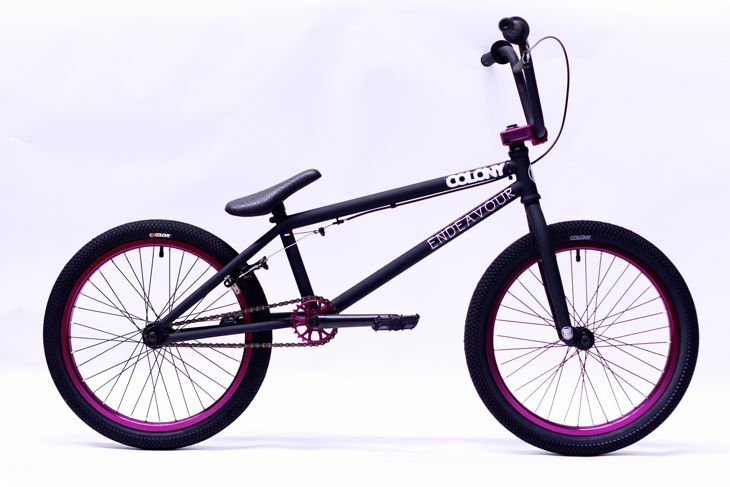 Most of the guys on the team are putting new bikes together right about now & Marnold chose the 2012 Teddy V2 frame in our Bright Purple. Here is some iPhone action below with better photos to come soon but thought we would share this little teaser here now. 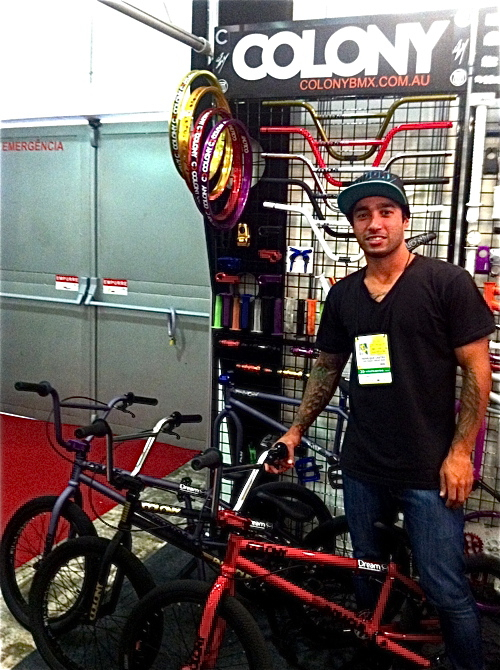 Thanks to the guys at Backbone BMX for helping Marnold get his bike together. Peta Shepherd dropped by the warehouse during the week & picked up her new 2012 swag of goodies. 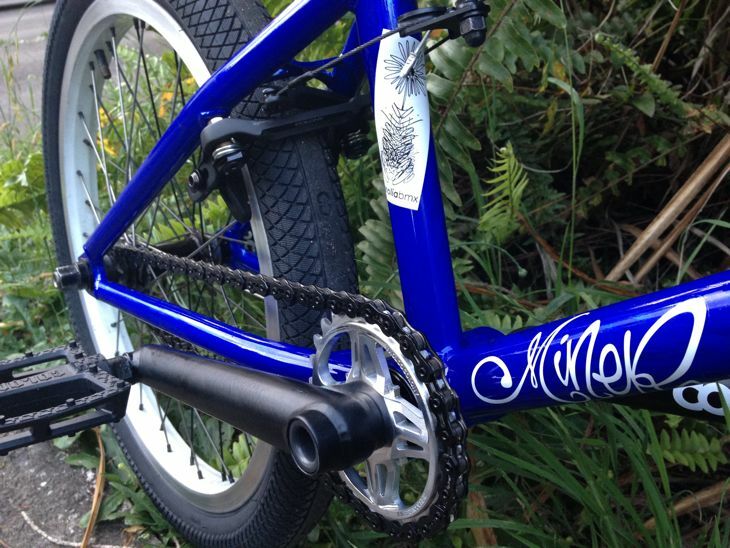 She had Mick Lav at Crossley Cycles build it up & here is her new 2012 Miner frame in Rising Blue (Blue with Blue splatter). 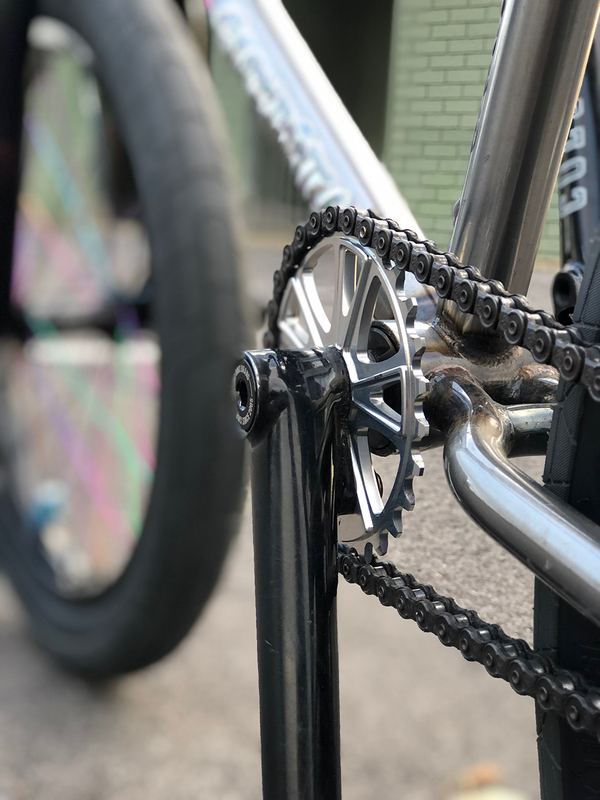 Peta also picked a few various Polished parts from our 2012 parts ranges including the new CC Sprocket from Chris Courtenay. These will be available from your favourite Colony dealer now. 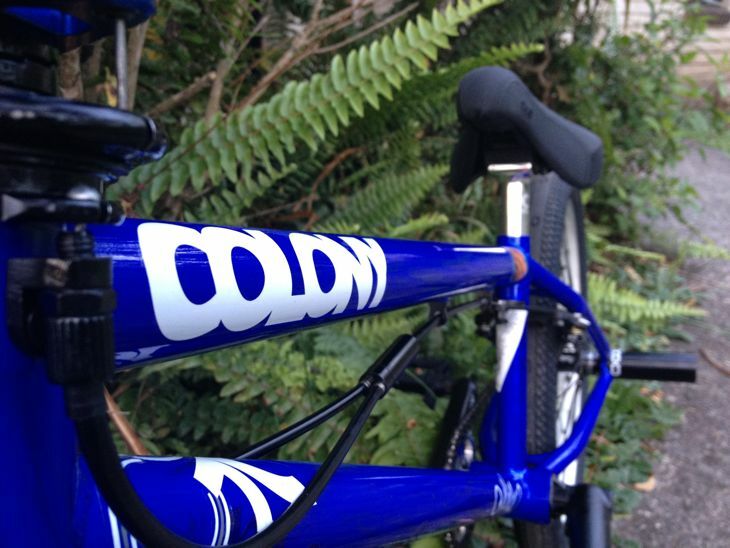 Here is a sneak iPhone peek of Cooper Brownlee’s new bike… a 2012 Teddy V2 frame in our Gloss Clear Raw. Better photos to come soon. 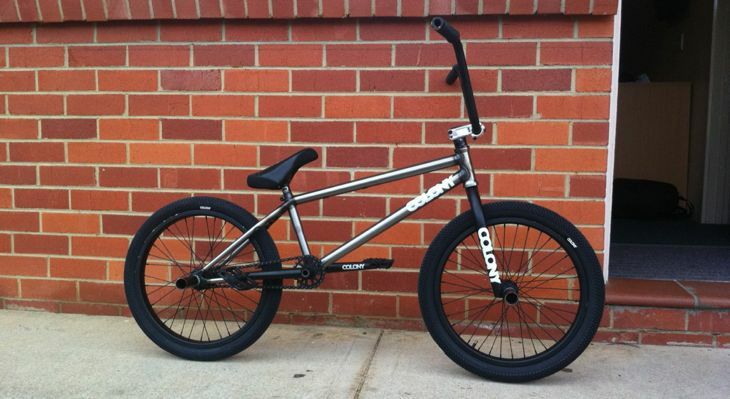 We will also up load all the 2012 product info on our site here in the next week or so. Cooper took 1,111 product photos the other day, no joke. So give us time… thanks !! 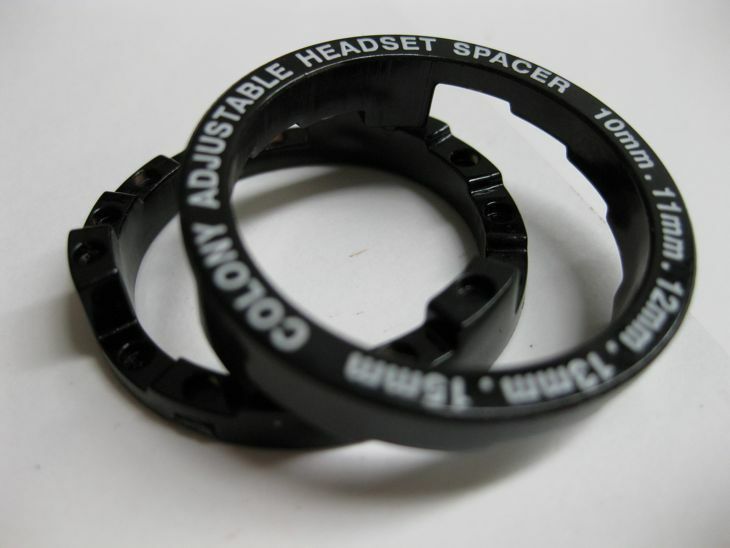 A new little product we have out now for 2012 is our new Adjustable Headset Spacer. 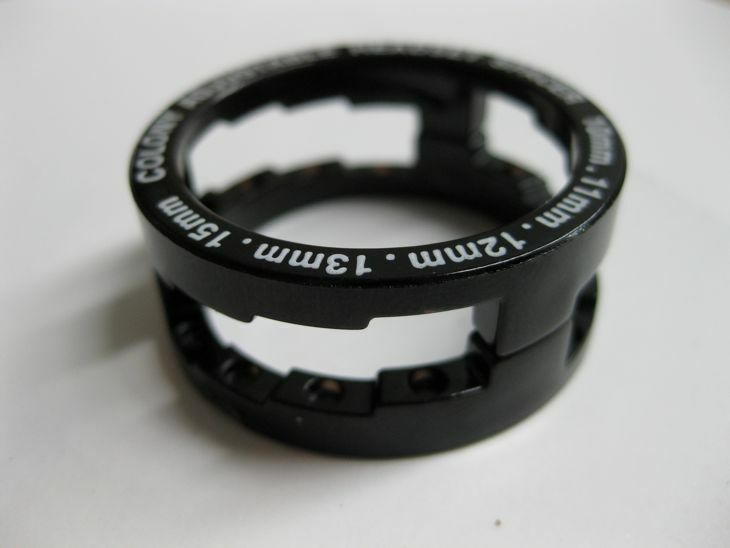 It is made from hi-impact plastic & will enable various stack heights of 10mm, 11mm, 12mm, 13mm & 15mm. Just rotate the spacer around to rest on it’s various steps to get the different stack heights. Check them out at a Colony dealer near you now. Our range of 2012 parts have arrived in Australia. Look out for them in stores over the next week ahead. We will also update our products page with all the new products over the next week as well. Cooper took 1,111 photos (no joke) over the last 48 hours & once he goes through them all they will be online. This includes our much anticipated signature frames from Ryan Guettler with The Living & Zac Miner with the Miner. Chris Courtenay’s signature CC Sprocket & Cooper Brownlee’s signature Twenty Four Seven Bars are also in now plus much much more of course. Cooper has the last clip in this web video from Peter Schifferle. 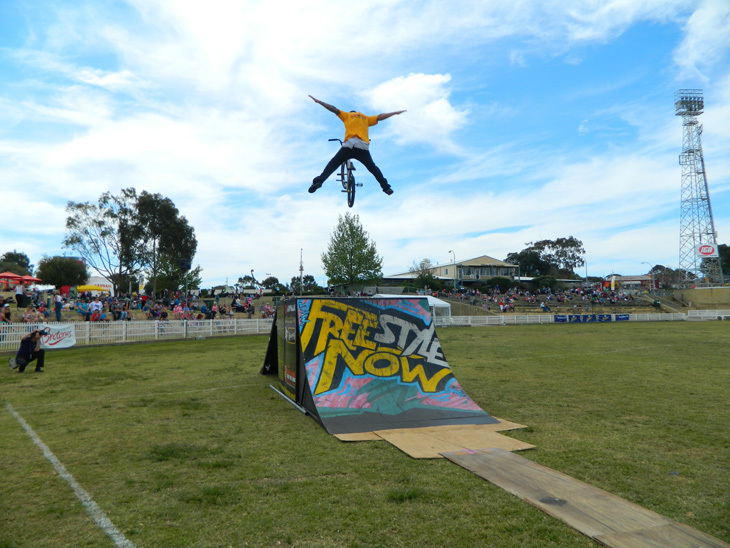 I’ve been lucky enough to the have been invited to do some box jump demos at the Perth Royal Show for 8 days and 8 nights. It was a really fun time and the demos were sick not to mention the amazing fire works display. I just want to thank Shaun Jarvis from Freestyle Now for hooking this up and all the amazing people I met and rode with for making it such an enjoyable experience. Now I am traveling all around Perth doing lots of coaching clinics, demos and judging lots of comps so if your in the area come have a shred with me. 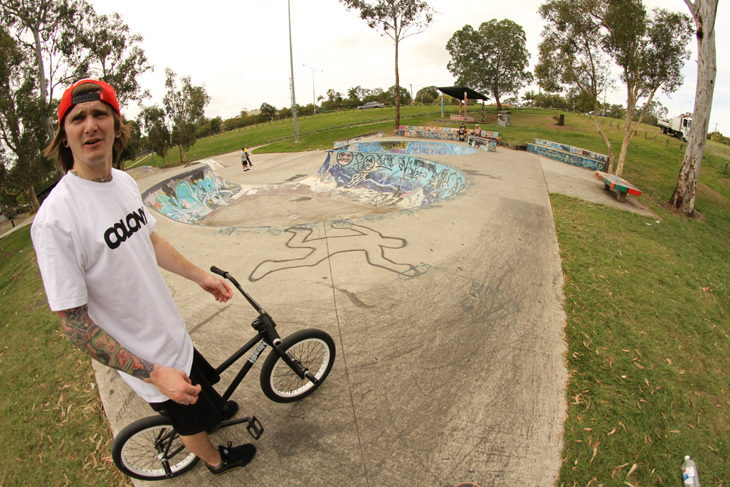 A few weeks back we took Brock down to Capalaba park in Brisbane to film a ten clips web video. He really put in work for this so we hope you enjoy it. 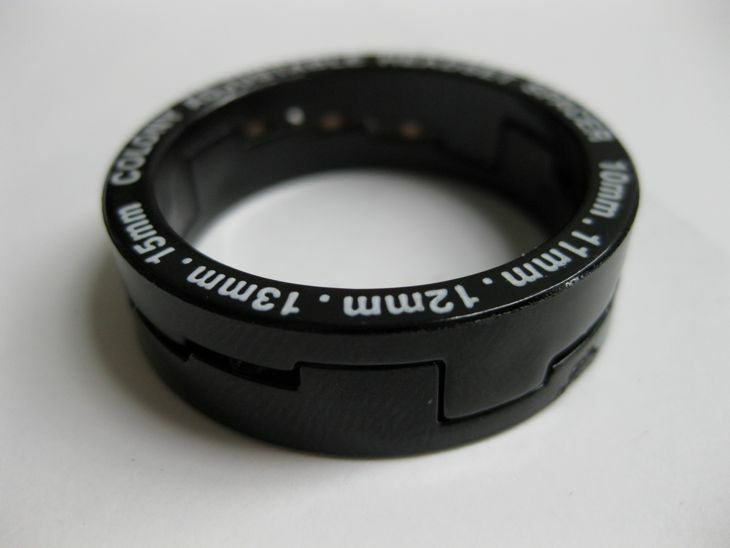 Filmers: Cooper Brownlee (fisheye) Stewart munro (long lens). Marnold has the current advert in Ride doing a nice 180 railhop at the end of a line. Incase you missed it Marnold recently had a good interview over on The Union which you can read here. A couple of days ago we spent the afternoon out at Albany Creek park in Brisbane filming another 10 clips edit with Tom, it went really well so expect to see it out in the coming weeks. Incase you missed it check here for Tom’s previous 10 clips edit. 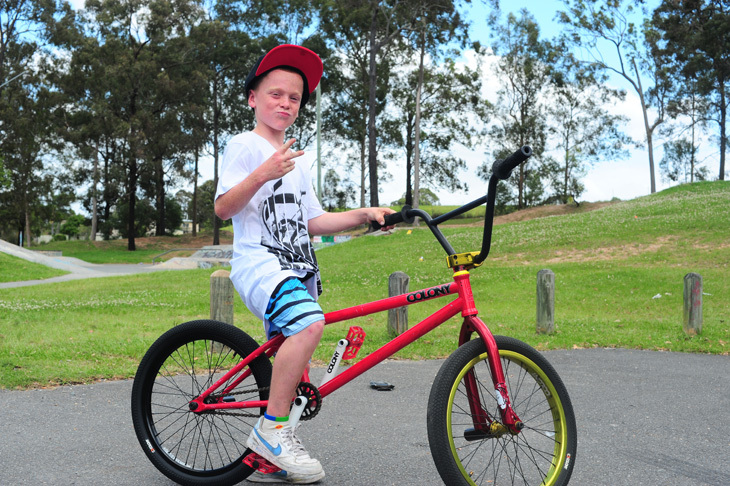 The last few times I have been at Woodridge skate park for a ride, there has been a young kid there who has always shown some skills on his bike. The bike he had was a real piece of work & he needed something decent big time. We were there on Saturday for a roll & once again, 9 year old Josh was there hanging out. He was still on his old bike & I thought I could help him out some what, so I told him to meet me at the park the next day. The next morning I went through the warehouse & built him up a bike from spare stuff we had laying around. I was pretty stoked to be able to help him out & he was very stoked for sure. Enjoy the bike Josh & I can’t wait to see you ride again soon. Brock Olive has an advert in the new 2020 for his clothing sponsor Dishonour. Pegs to hardway gutter gap. 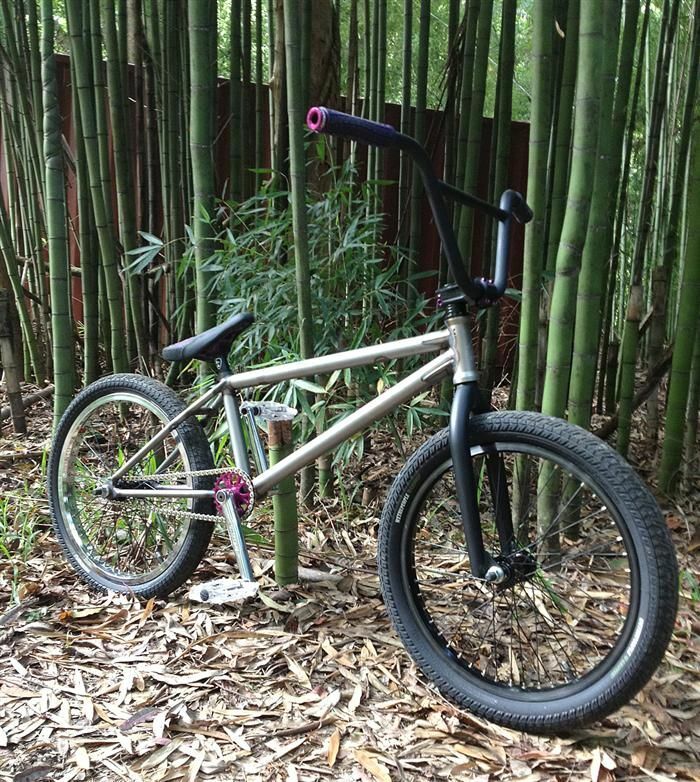 The guys at Ride On BMX just recently sold their last LTD frame, number 43 of 50. Decked out with a good array of Colony parts it looks the goods. Hit up Steve at Ride On if you’re after a custom build as all the ones they do always turn out awesome. Really good video from the guys at 2020. Marnold, Brock, Zac and Liam all have some great footage in this web video. Zac took it hard multiple times trying whip to over ice down the rail, I can’t wait for the day he pulls that move. Marnold came 2nd with a stupid amount of combos, opposite x-up crooks? Both Tom and Brock have some really good clips in this Crispy web video. Marnold has a @Random feature over on Defgrip. You can see it here. The second King of the Jibs event went down back in August of this year & here is the video from the day. The riding that went down was amazing & everyone seemed to have a great time. Thanks to all those that rode, came to watch & help out with the actual running of the day. You all made it a great success. 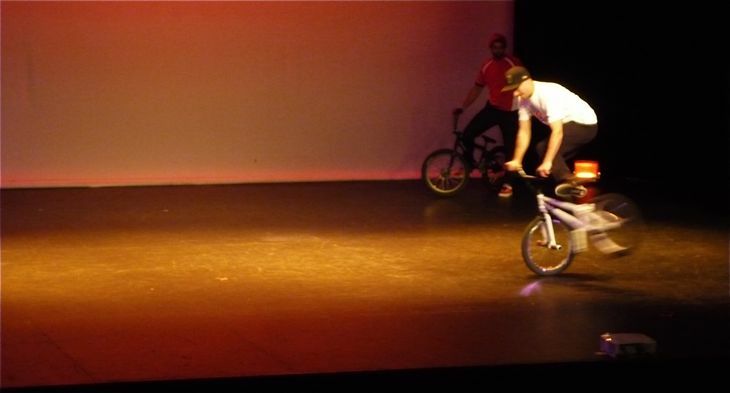 Unfortunately though, the ramps have now been sold & this was the last one on this course. But we will be looking at doing another event next year… more news on that later. The lighting inside wasn’t the greatest for filming but our warehouse manager Glen McLaughlin, did a great job doing so & he also edited this piece up. Enjoy. More goodness from Focalpoint. Look out for banging clips from Marnold, Mick Bayzand, Brock Olive & Cooper himself. 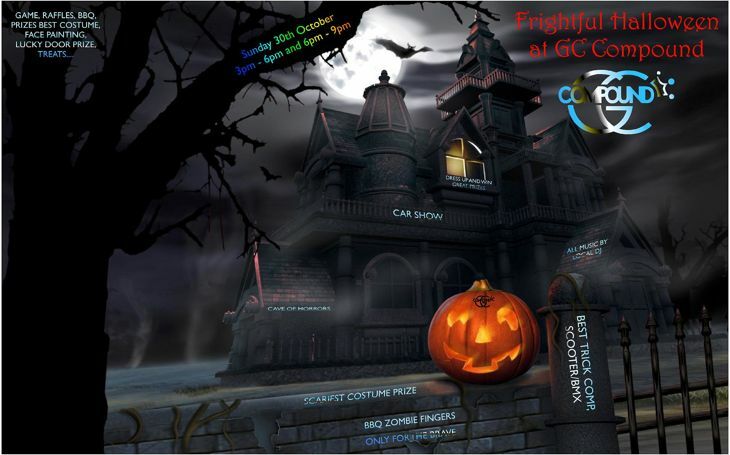 The GC Compound indoor park are holding a halloween themed day of sessions on Sunday October the 30th. There will be two sessions with a bunch of activities happening throughout the day. Get yourself there for some prizes from us here at Colony. Fresh from the printers are our latest tee shirt design, the Logo Tee. Nice, clean & simple is the key. Show your Colony pride & available at your favourite Colony stockist now. 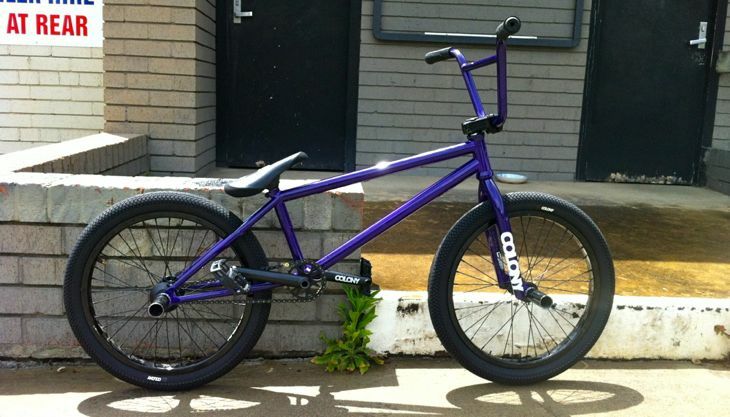 A young rider had the misfortune of having his brand new 2012 Endeavour in Matt Black/Purple as seen below taken forcefully from him in Crestmead on the southside of Brisbane yesterday. These bikes aren’t even out yet so should be pretty easy to spot around. 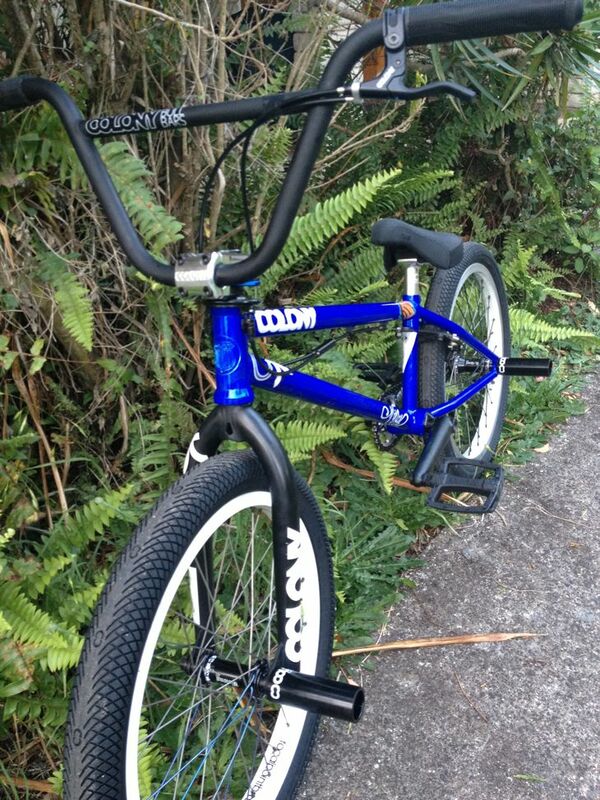 If you happen to see the bike below please contact Matt & the guys at 99 Bikes Browns Plains. Cooper has been on the road the past few days making his way to Brisbane. He spent a few days in Canberra riding with Zac and the locals, unfortunately Zac crashed on his first clip whilst filming his ten clips at Woden park but he was able to snap this photo of Coops shooting the bee’s. Cooper recently dropped into the guys at Pushys in Albury. The manager there Jake runs a tight ship with the help of BMX guru’s Simon & Tenna. They stock a full range of our products & are the place to go for Colony in the Albury area. 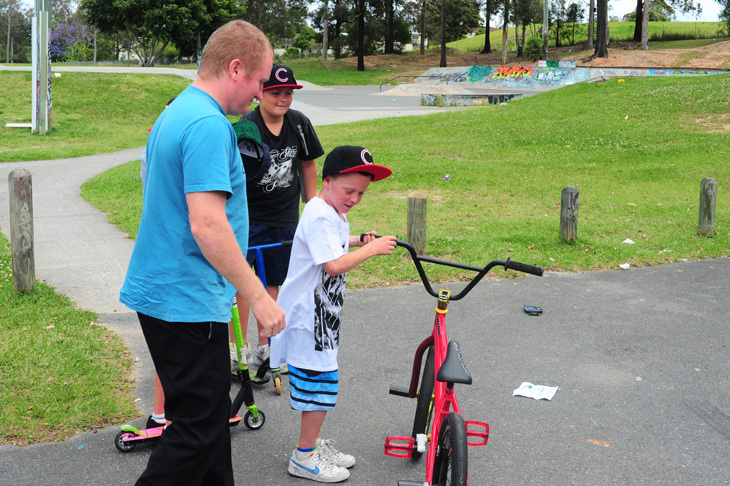 They also usually head down to the Wodonga park every Monday at 6.30pm with a few giveaways just for fun. 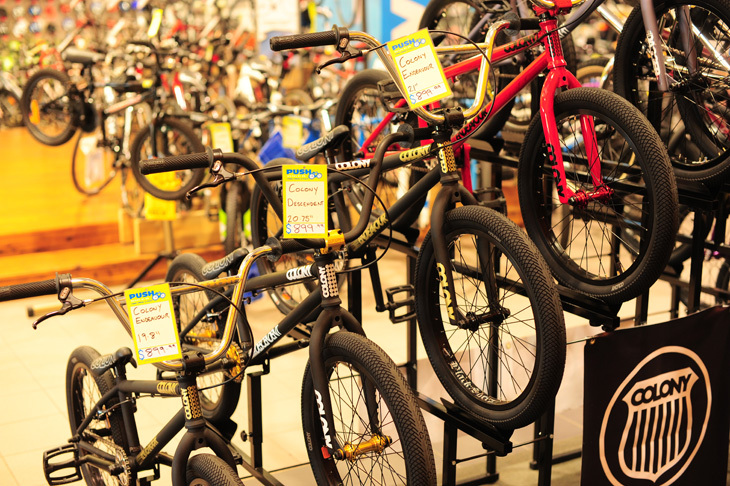 It’s things like this why you should be going to the guys at Pushys for your BMX needs.